Tired of city noise and smog? Are you looking for rest and rejuvenation? A place to take your family of all ages? 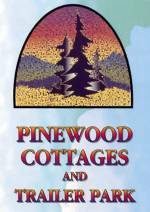 Pinewood Resort has your peaceful waterside solution. Summertime and the living is easy. Fish are jumping. Trees are shady. Flowers are blooming. Water is warm. Reservations are going quickly but we still have some cottage vacancies for July and August. Only an hour and a half from Toronto. Call us today for your booking.